More than 53,000 students will begin school as planned after the Seattle Education Association and Seattle Public Schools reached a preliminary agreement Friday, the district and the teachers' union said. The district published the terms of agreement but said one of its priorities is compensation of educators. "We believe our educators and assistants deserve a competitive, fair salary package, and as a district, we want to be able to attract and retain the best educators for our students," the district said in a statement. Students in grades 1-12 are expected to start teaching on Wednesday, kindergartners are due to begin on September 10th. "Our employees are our heroes," said the district. The preliminary deal comes a few days after the teachers' election to give their union the power to call a strike. 1; but the preliminary agreement is enough to start school as planned. Teacher disputes over wages and benefits are still unresolved in schools in some other Washington communities. In Monroe, about 30 miles northeast of Seattle, it is unclear whether the school will start on Wednesday as planned. 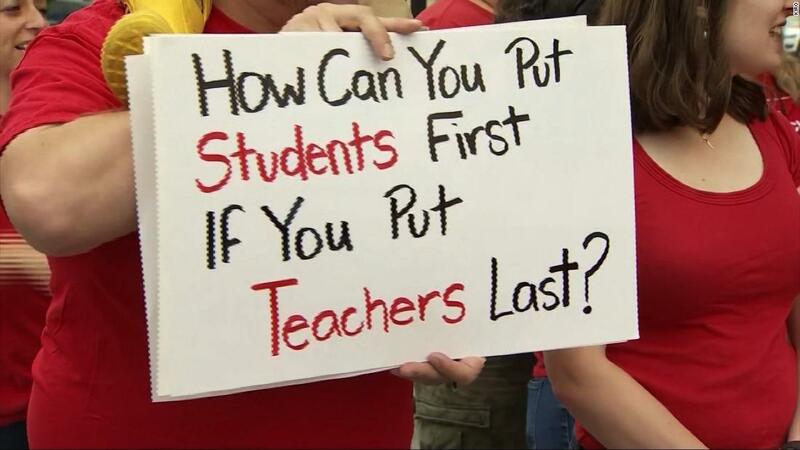 The teachers there have demanded a better pay this week. 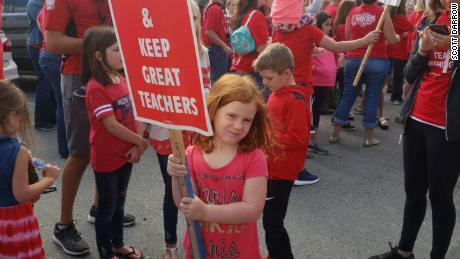 Monroe Der Special education teacher Michael Jones said he was willing to go on strike as needed – not just for better salaries, but also for the future education of children. "I take care of my salary and the salaries of my colleagues, but beyond that I am interested in the education that my own children receive in Monroe," he said. "This coming week will literally affect the Monroe community for generations to come because many surrounding districts have already agreed to major increases … I've always believed it to be ours Responsibility is to water our own grass and make it greener when we start to think that the grass is greener elsewhere, so if it takes a strike, it's like this. " 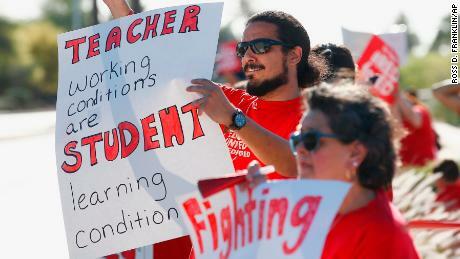 Strikes in Washington follow in the last Spring of a wave of nationwide teacher protests. Teachers have demanded higher salaries and better school funding for their students to replace crumbling textbooks and archaic supplies. Shelli Blake, an instructor at public schools in Vancouver, said she understood the plight of some parents over the strike there. "I'm sorry the teachers' inconvenience & # 39; "I understand day care needs so you can go to work," Blake wrote in an open letter to parents on Facebook. 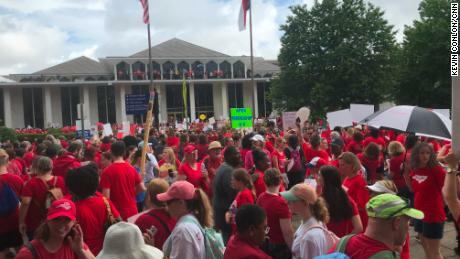 "While the teachers go on strike, they are also" harassed "by not being paid, being in the heat, negotiating with the district and looking after their own children, and doing so to ensure quality educators Services and smaller class sizes. " And because the school year could be extended, Blake said that students will not miss important lessons. "I can imagine that extended nursery needs can be expensive, but with the extended school year, teachers will" watch "their children at the beginning of next summer, so no need to pay for childcare," she said. 19659002] has approved her letter with the hashtag "#sornynotsorry". CNN's Holly Yan and Keith Allen have contributed to this report.